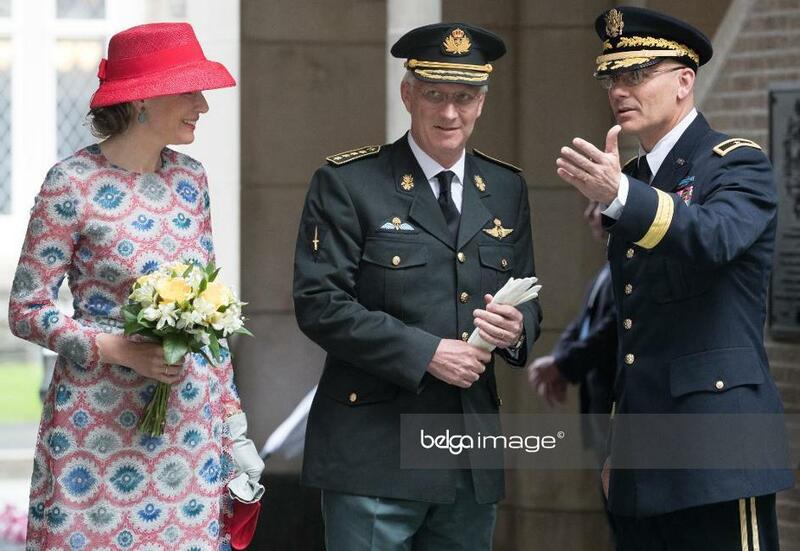 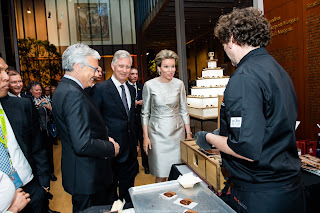 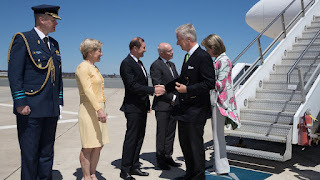 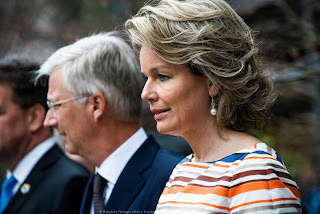 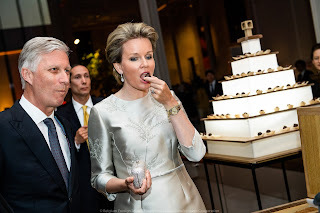 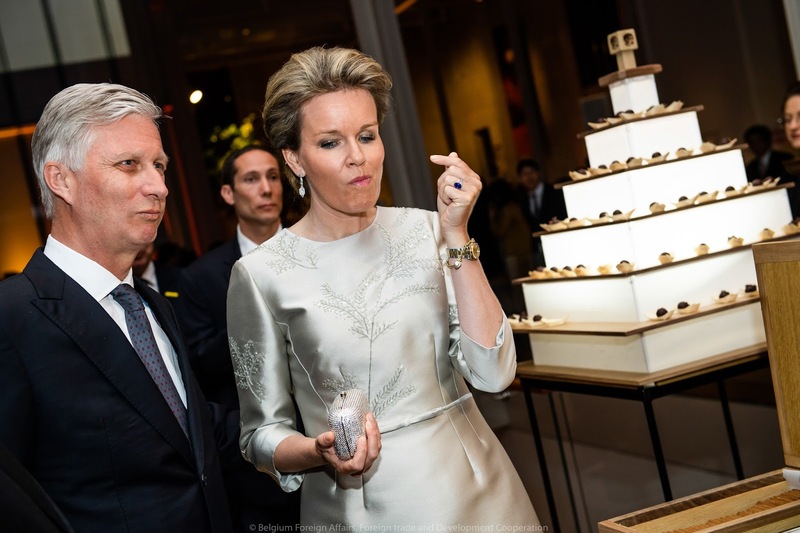 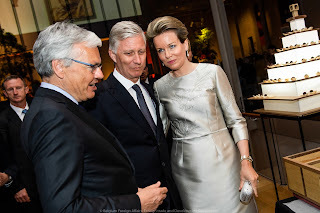 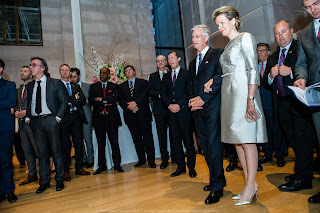 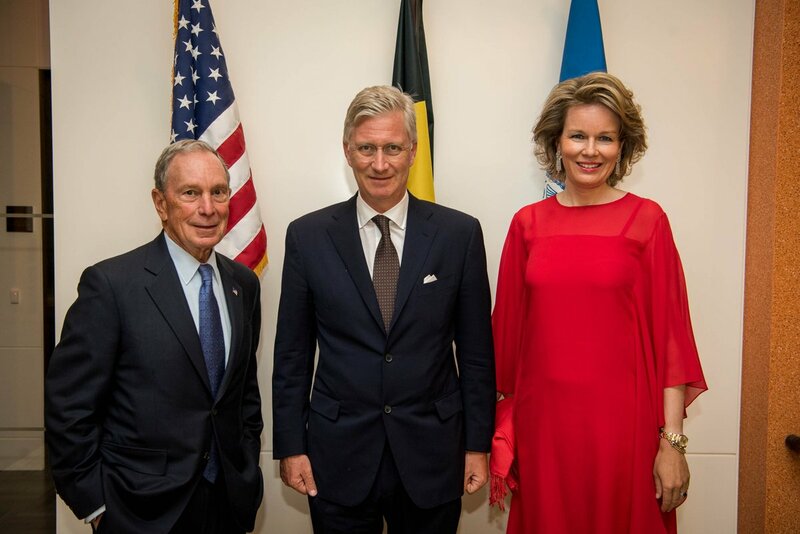 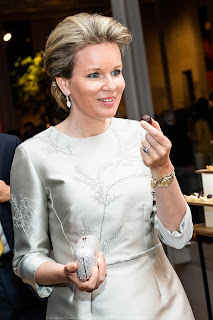 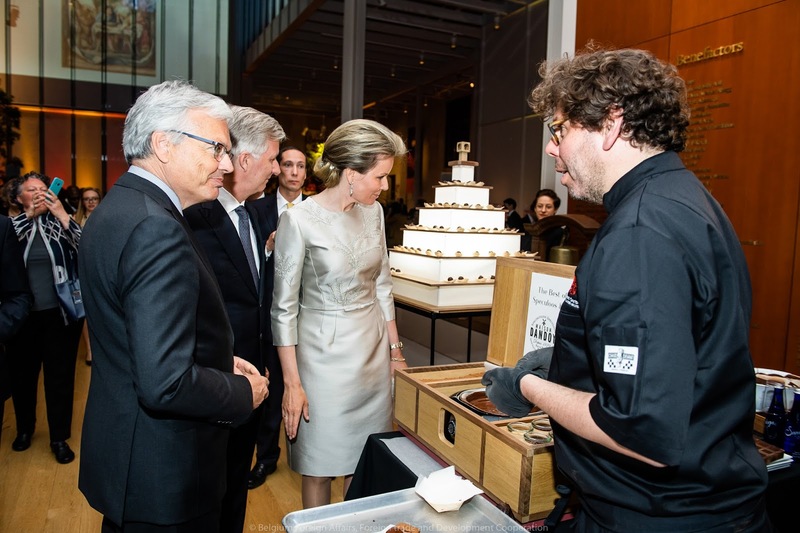 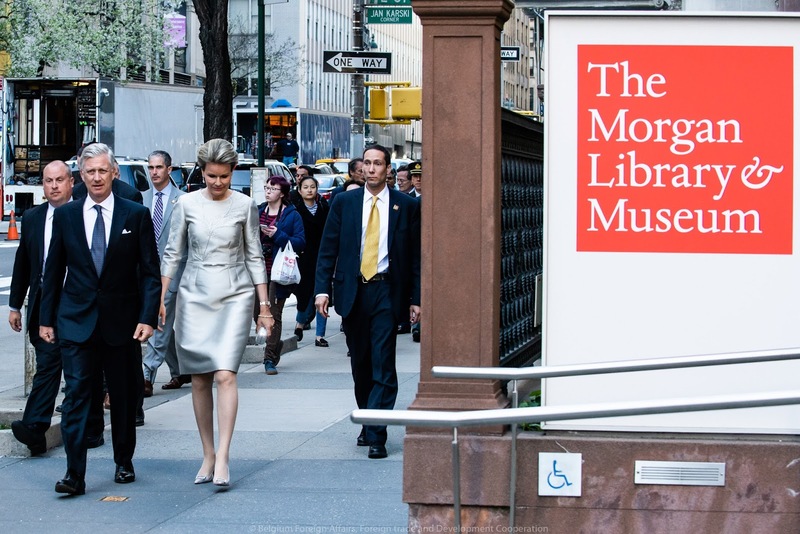 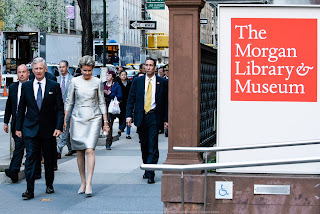 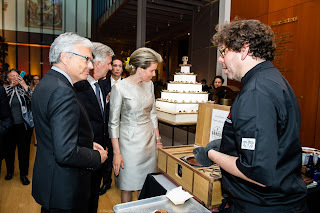 From the 23rd to the 25th of April 2018, king Philippe & queen Mathilde are visiting New York. 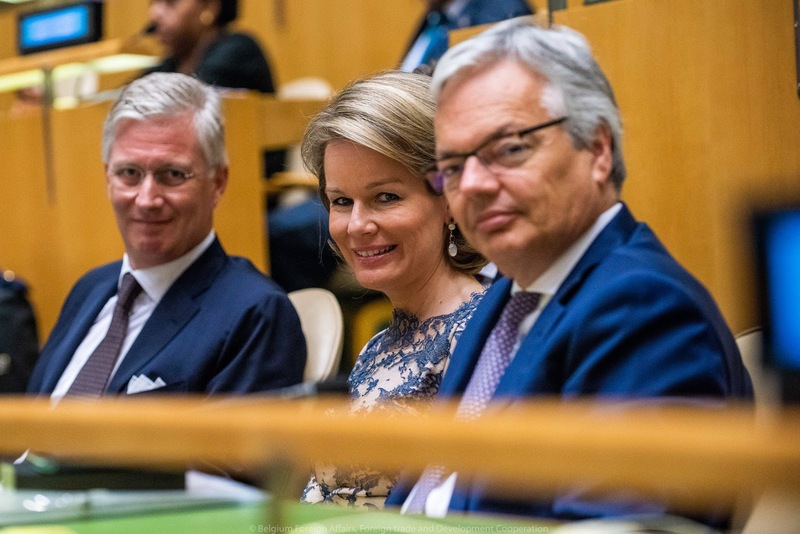 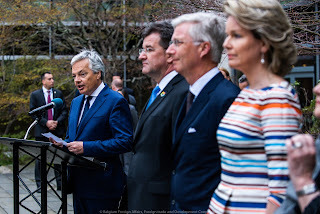 Belgium is lobbying for a seat among the non-permanent members of the UN's Safety Council, just like Germany & Israel are - There are only 2 seats available. 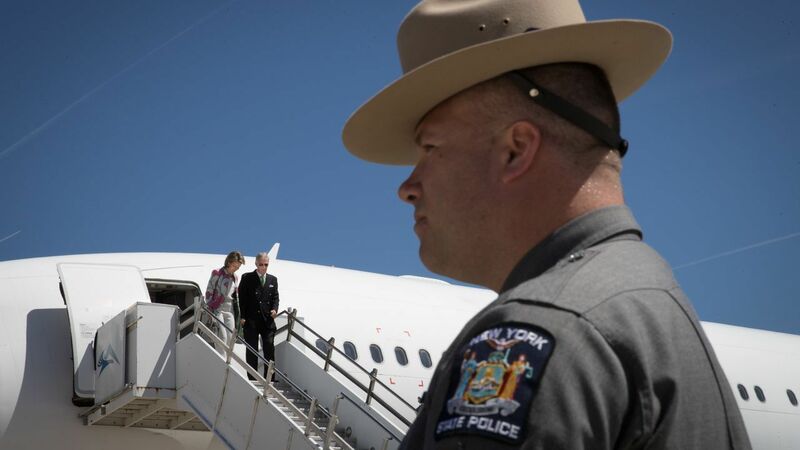 Arrival at Stewart International Airport in Orange County, New York. 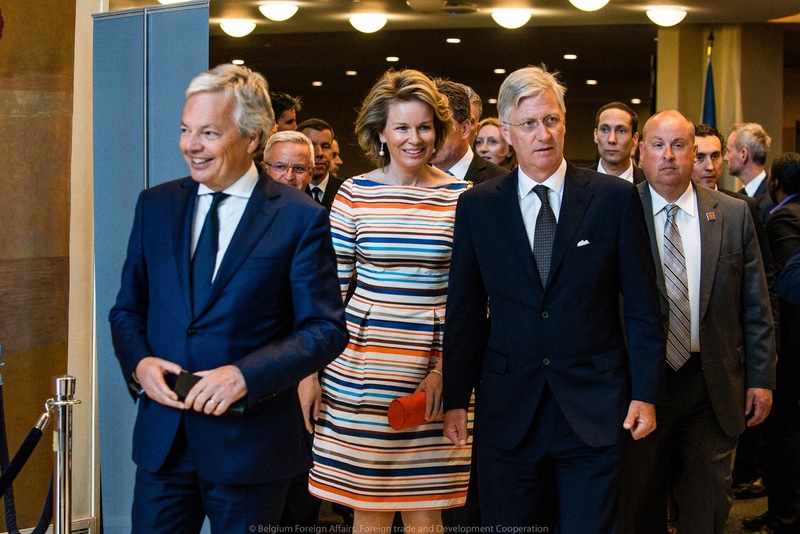 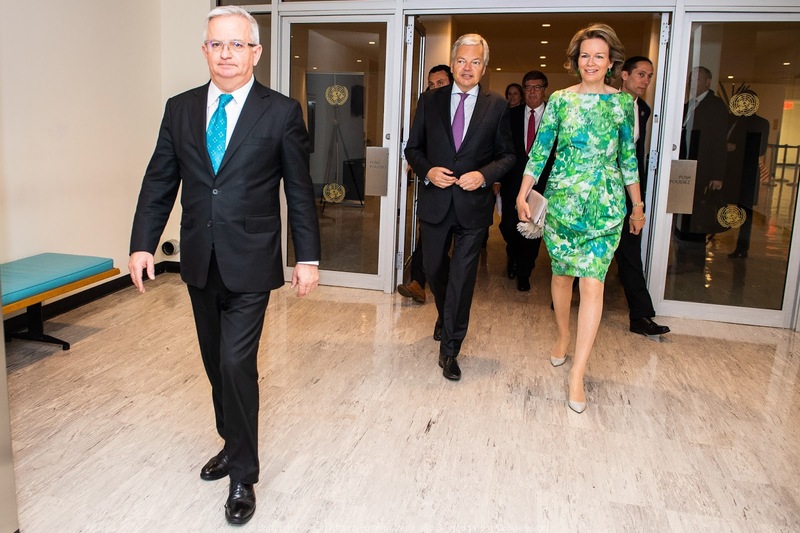 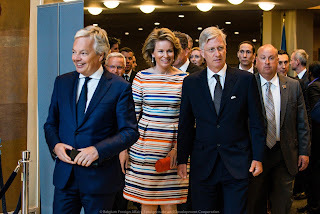 On their way to The Morgan, where a Belgian reception was hosted for 400 guests: ambassadors, high level diplomats & UN representatives. 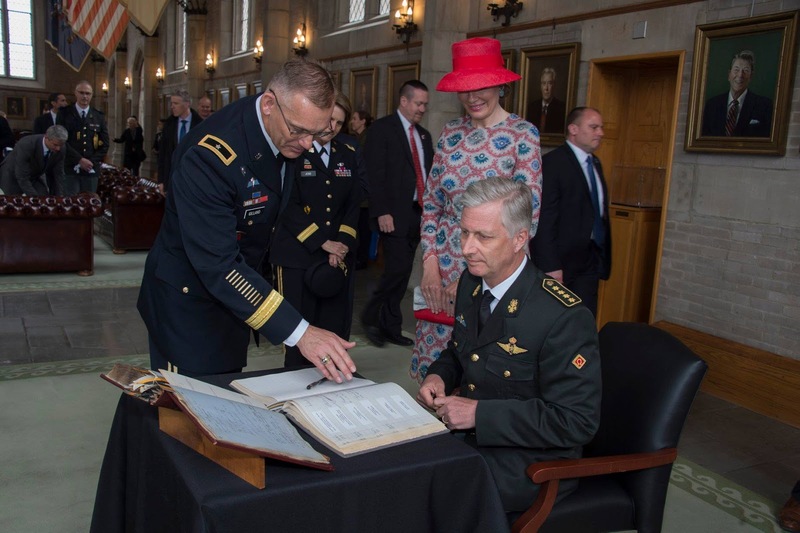 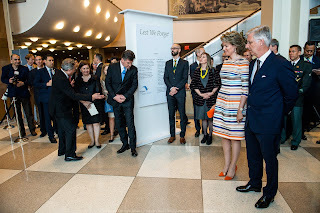 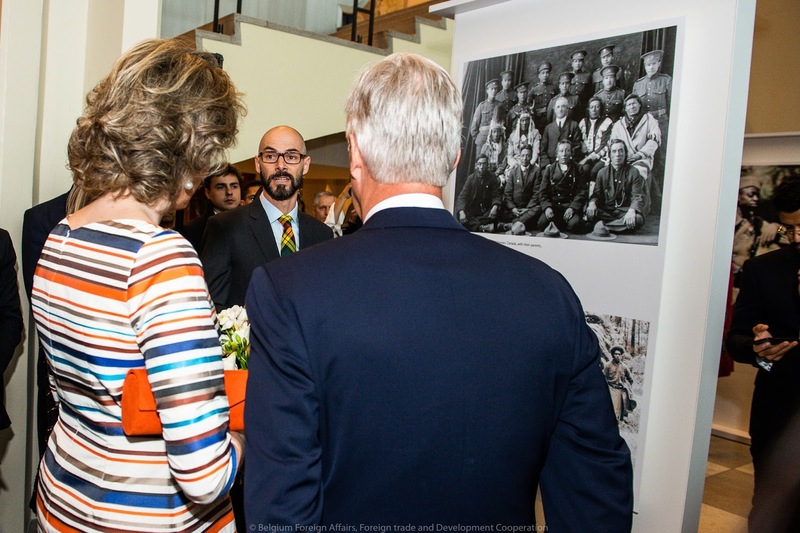 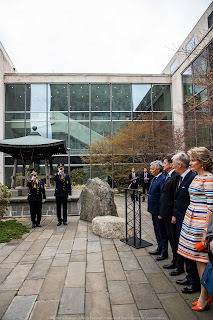 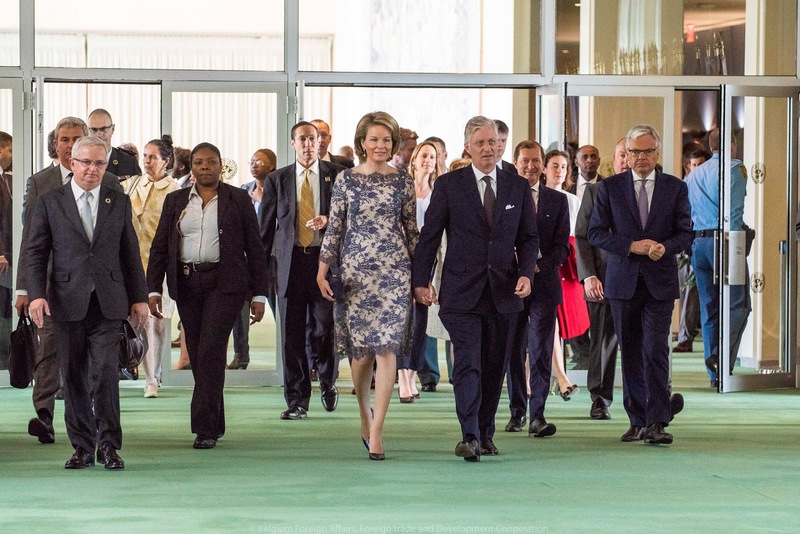 King Philippe addressed the General Assembly during a special meeting on building and consolidating peace. 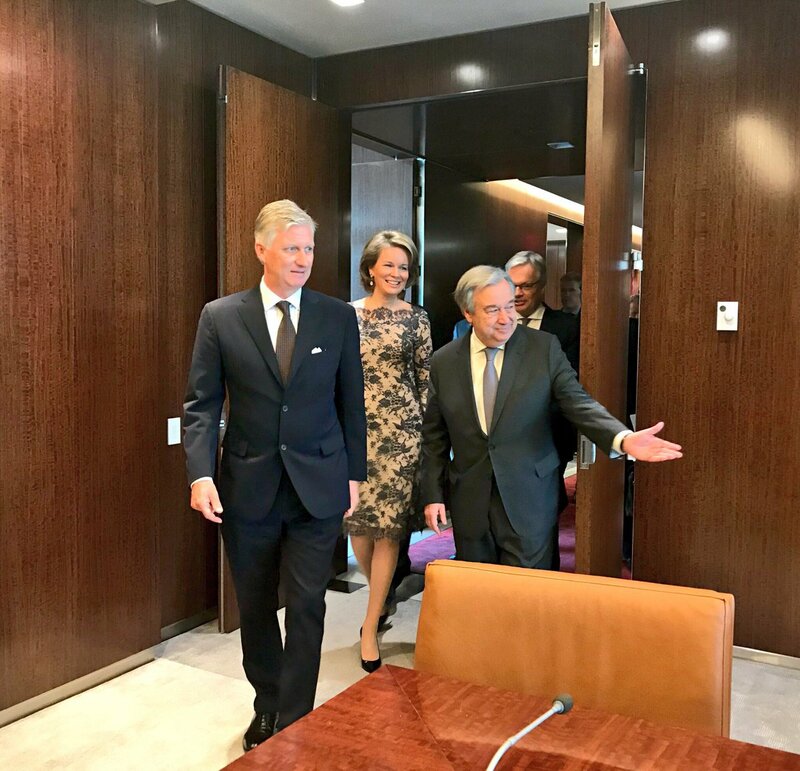 Meeting with UN secretary-general Antonio Guterres. 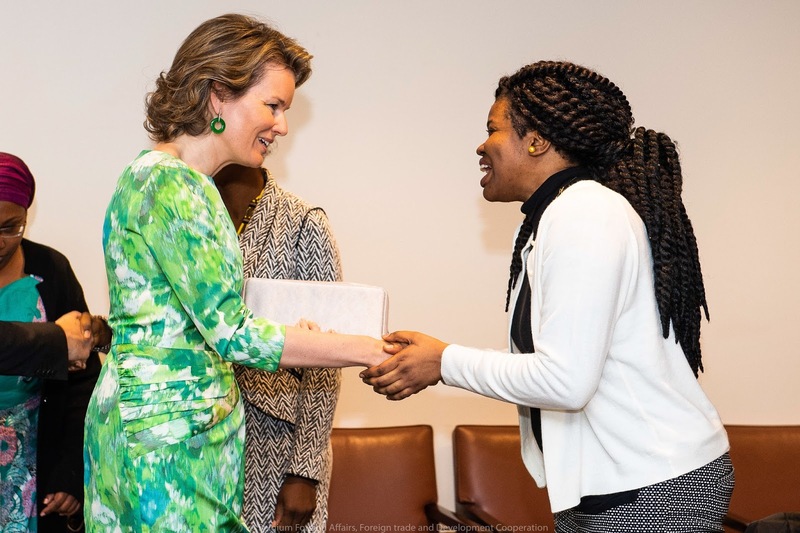 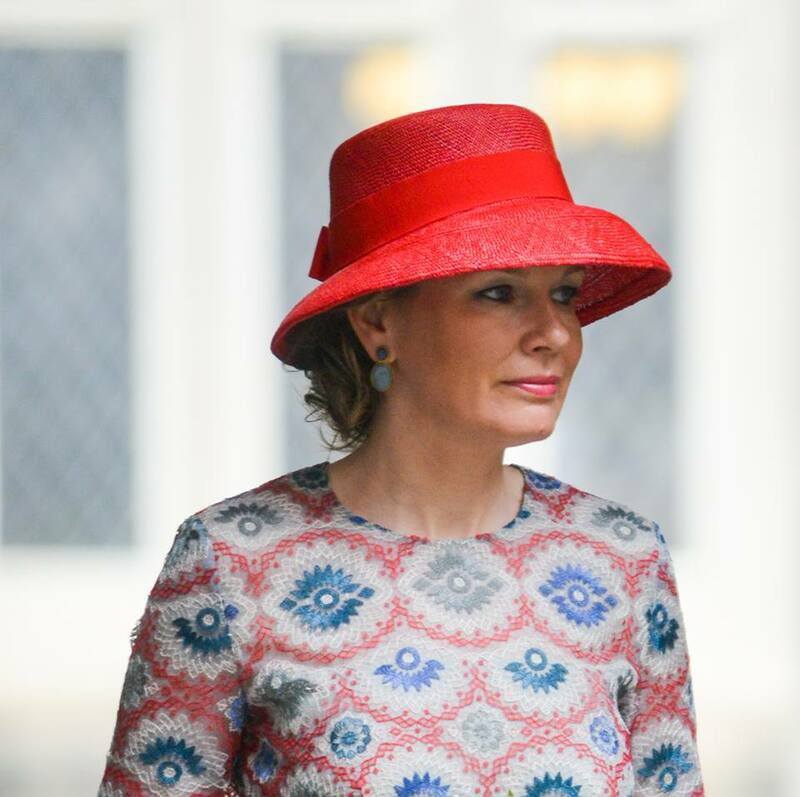 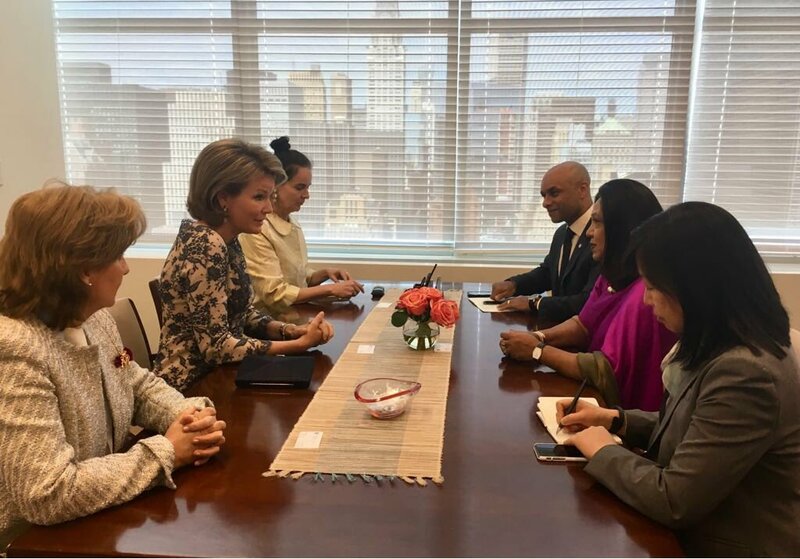 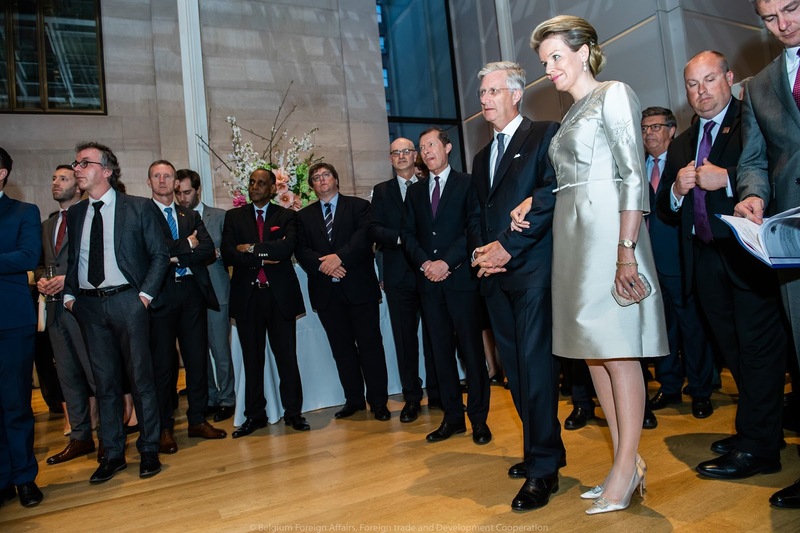 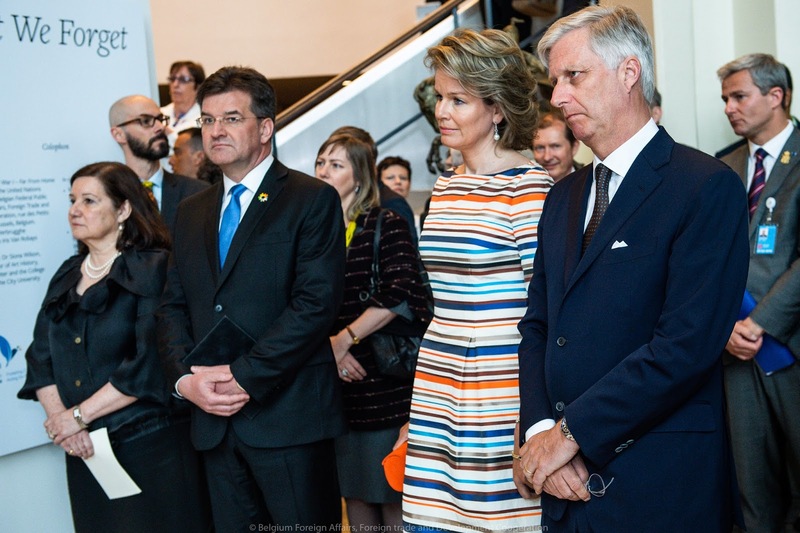 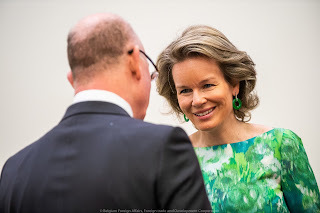 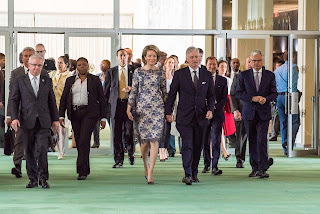 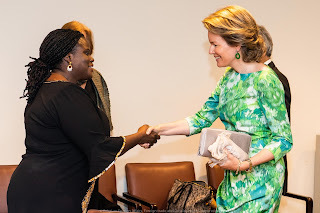 As SDG advocate, queen Mathilde talked to UN representatives on sexual violence in armed conficts. 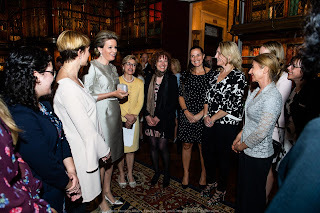 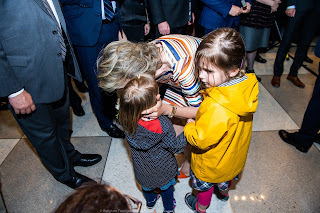 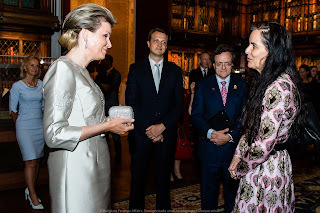 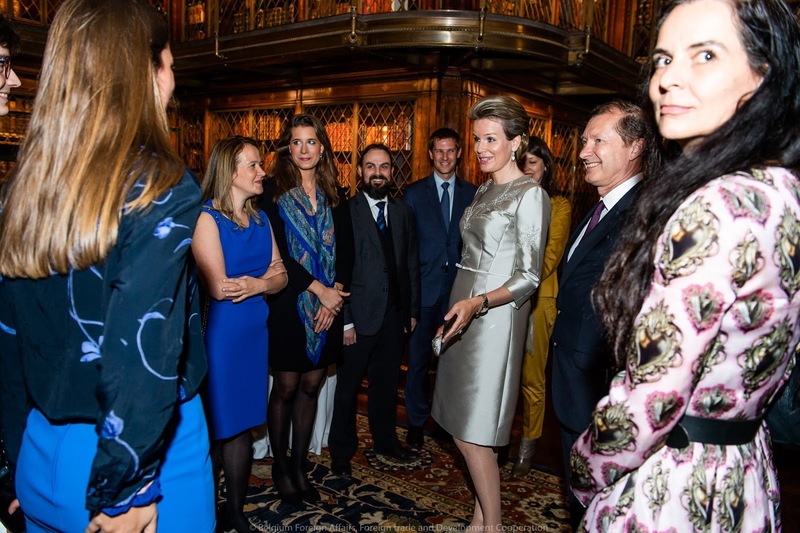 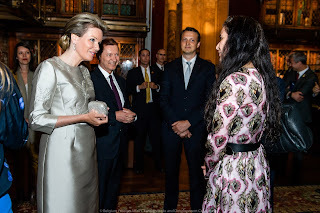 Her Majesty the Queen of the Belgians meets Ms. Virginia Gamba, SRSG for Children and Armed Conflict. 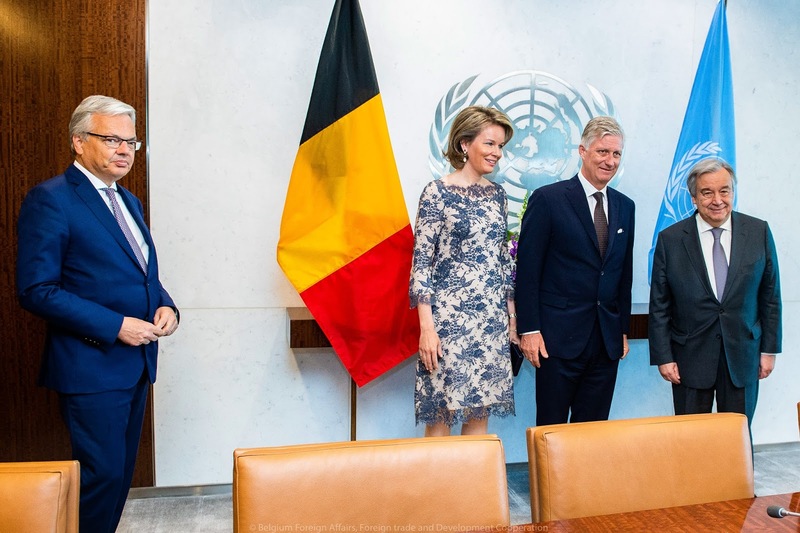 Belgium remains strongly committed to end the recruitment of child soldiers and to ensure the protection of children affected by war. Opening of the Belgian exhibition on foreign soldiers present in Belgium and Europe during the Great War. A worldwide solidarity that Belgium will never forget. Last post ceremony to commemorate WWI in the UN Rose Garden. 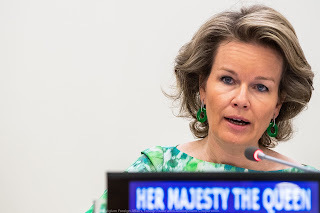 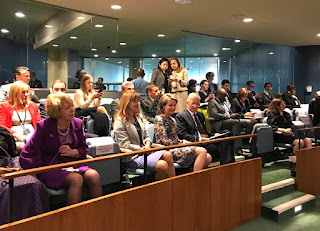 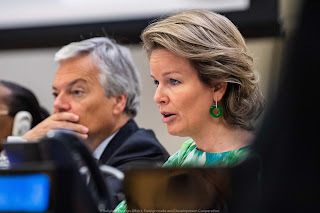 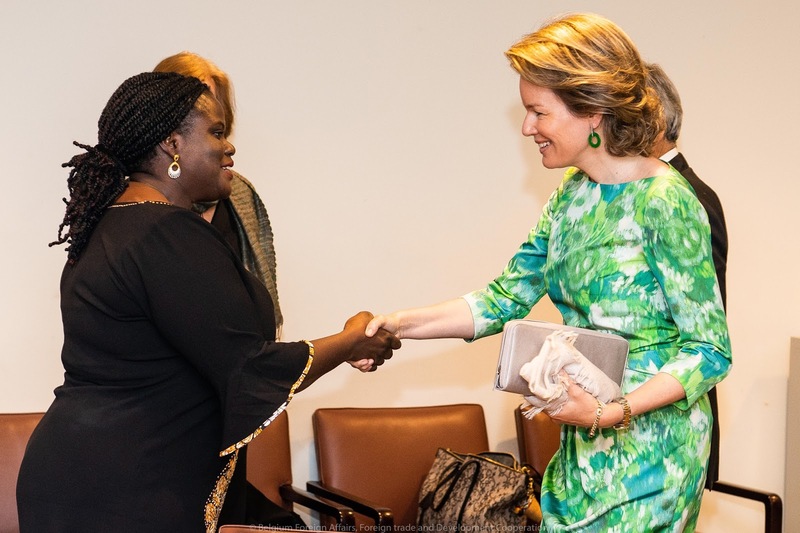 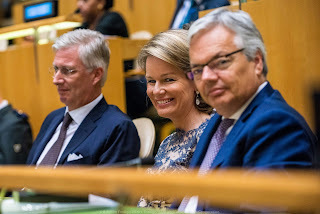 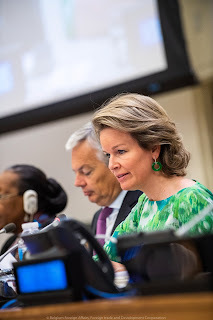 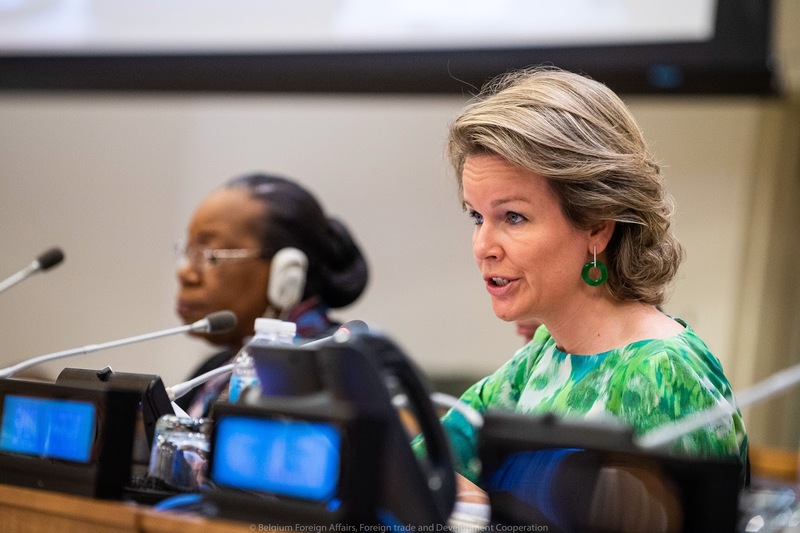 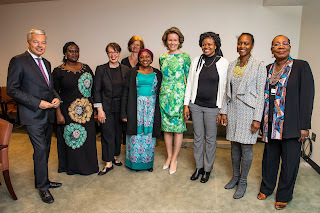 Queen Mathilde's Address in English & French, 'Sustainable Peace: African Women Mediation in Focus' at the UN. 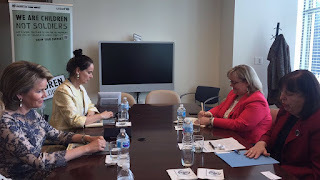 (...) A few years ago, I visited Liberia with UNICEF and met women from the peace keeping mission UNMIL. 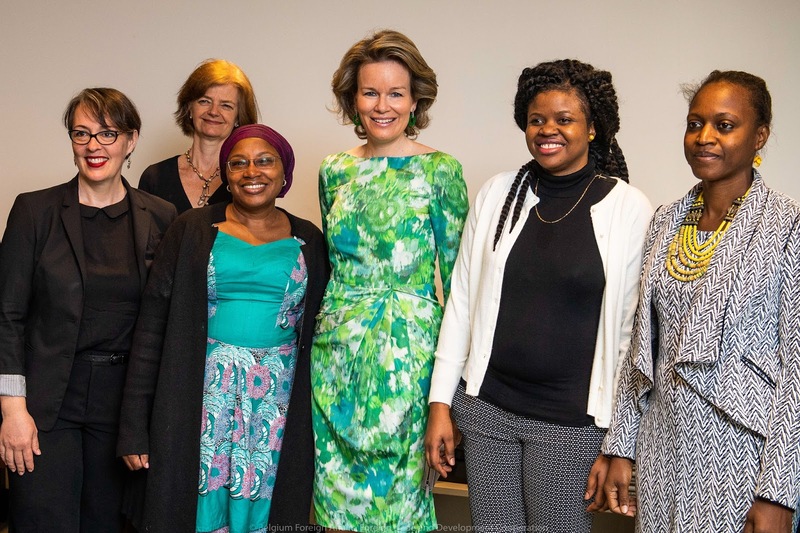 These women were specially trained in mediation and in acting as persons of confidence for women and girls who were victims of the civil war. Since that experience, I am more convinced than ever that women can and should be part of the dialogue in solving conflicts. (...) As a woman and a mother, I am convinced that women and girls can and must play a crucial role in the realization and maintenance of sustainable peace. (...) Les femmes et les jeunes filles constituent généralement le moteur de la cohésion sociale. Mais souvent, elles sont aussi les premières victimes lorsqu'une société s'enlise dans un conflit ou dans la violence armée. Cette triste réalité est illustrée par l'enlèvement de lycéennes par Boko Haram, ou encore par les atrocités et les viols dont sont victimes des femmes, à la merci de groupes armés impitoyables. 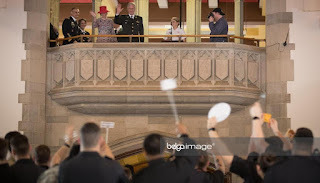 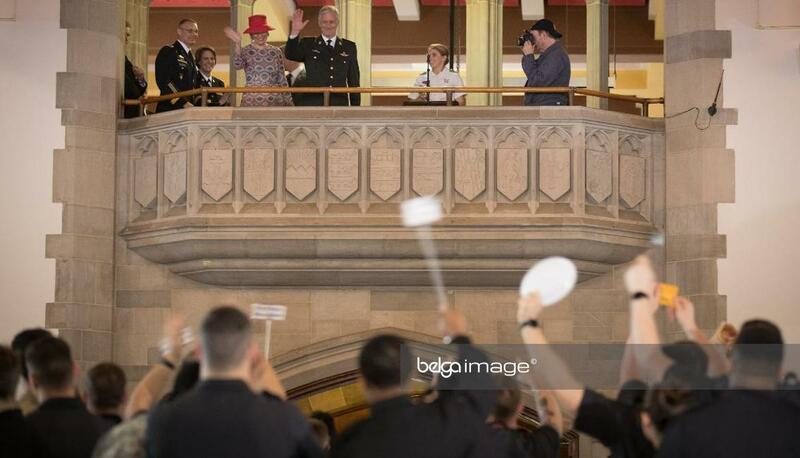 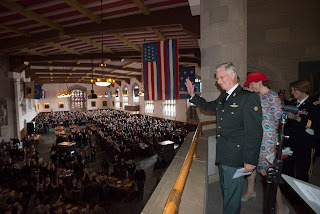 As a last activity, the royal couple visited the Military Academy at West Point.